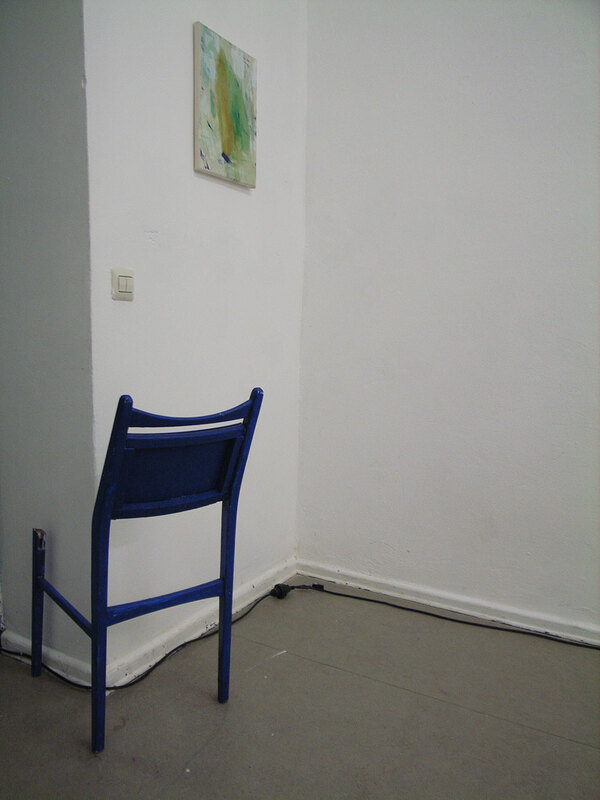 I made an open call in Berlin to explore the idea of collaboration and cooperation in both artwork and method. The exhibition was shaped by democratic process and defined by unplanned eposodes while participents put down their differences and working towards a common goal. Commonalities is part of the Vizkult Propositions. The event was conducted at Altes Finanzamt, Berlin. Main wall (right): 3 framed drawings by Futo Akiyoshi + Kouichi Tabata. Left wall: 3 extra large fruits by Christing Cheung and Antonio Serna in responce to the works by Futo and Kouichi. Floor: Video by Antonio Serna. Claudia by Antonio Serna. 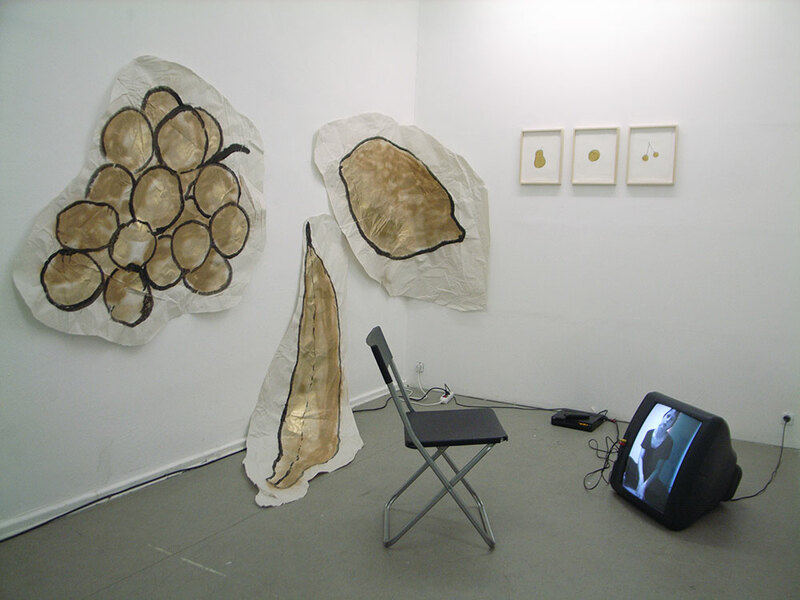 Claudia is a video interview of a young artist retelling an encounter with an anonymous work of art. 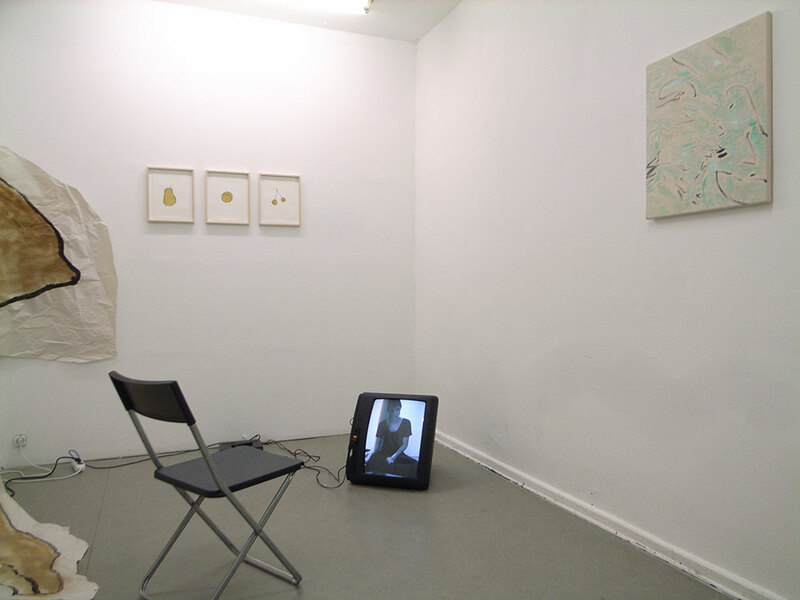 Main wall (left): 3 framed drawings by Futo Akiyoshi + Kouichi Tabata. 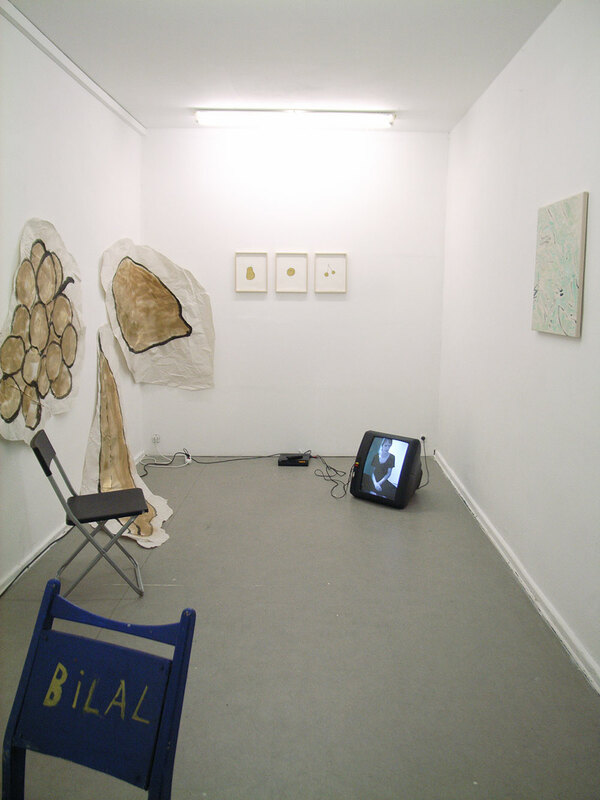 Right wall: Painting by Christine Cheung. 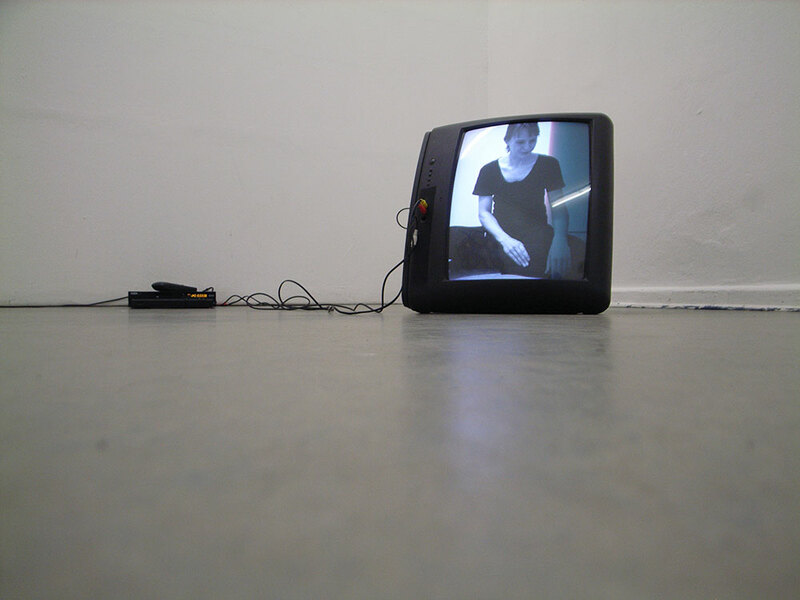 Floor: Video by Antonio Serna. Top: Painting by Christine Cheung. Bottom: "Bilal" by Christine Cheung. 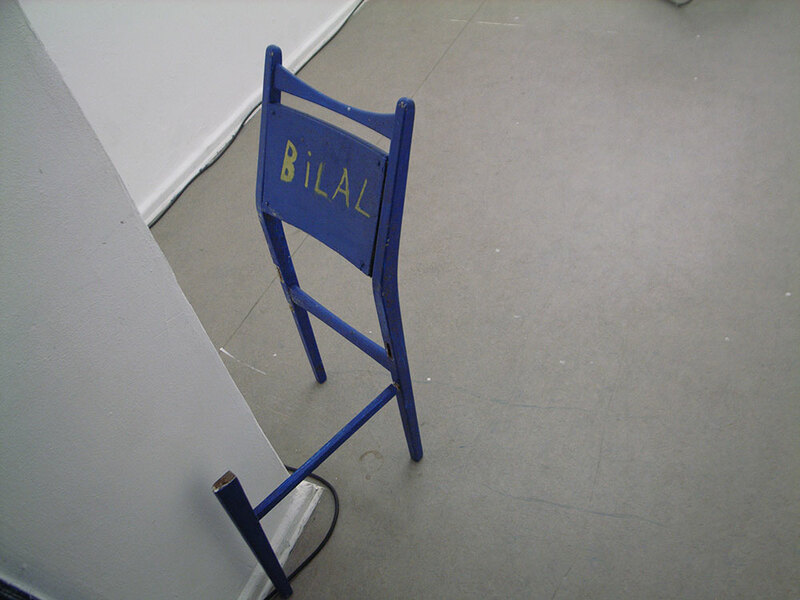 "Bilal", an abandon chair with name "Bilal" retreted by Christine Cheung from local club house. Right: Letter describing the disctuction of Golden Girls, a painting rescued by artist Darren Jones. 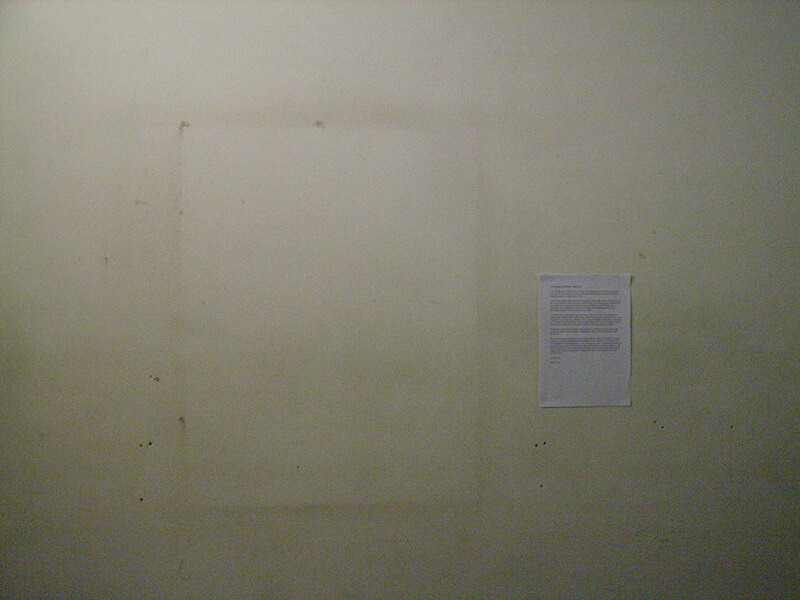 Left: Mark on the wall to evoke a missing painting by Antonio Serna.